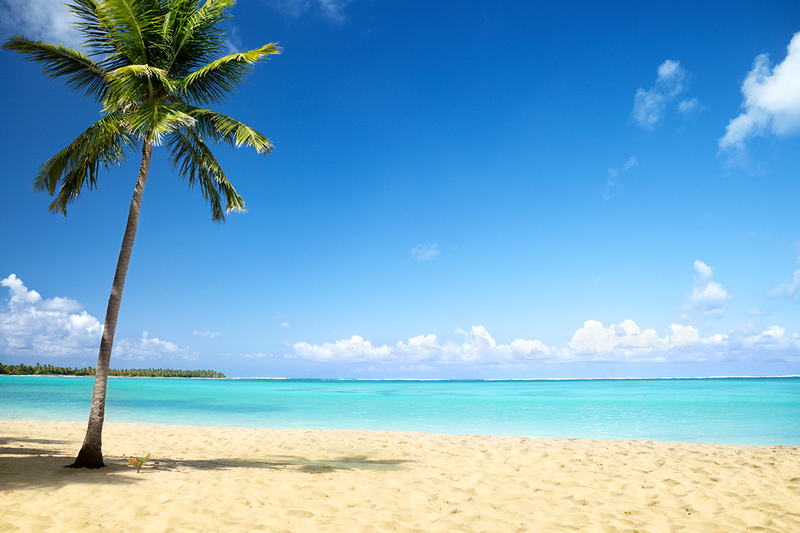 This is Sunborn London. A floating superyacht hotel offering a new experience in the world's premier city. Sunborn London is an experience to fall in love with. 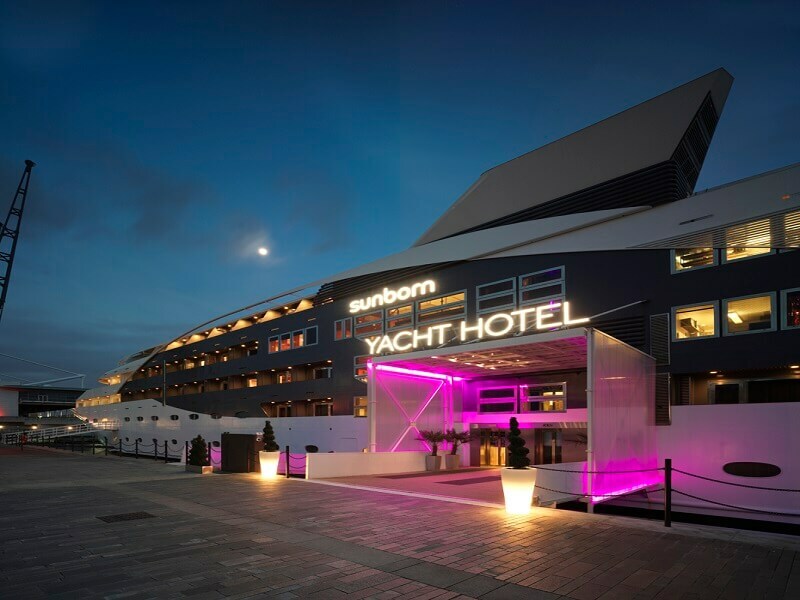 Sunborn London’s remarkable waterfront setting enables guests to enjoy breathtaking views across the Thames towards the towering spires of Canary Wharf and the celebrated dome of the O2 Arena. The yacht hotel’s proximity to the world-famous ExCel Exhibition Centre, which hosts hundreds of international events and conferences each year, makes it an ideal base for a visit to London’s Docklands. Superb transport links by rail, river and cable car also make it easy to travel into central London for some of the best shopping, shows, music and dining in the world. 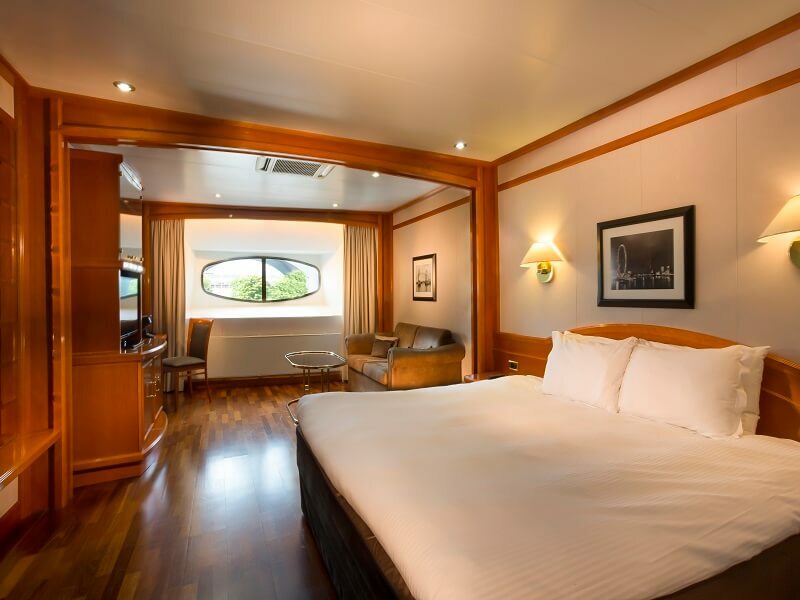 Style meets comfort in the yacht’s Classic and Executive Rooms. Expect elegant design with a traditional craftsman’s finish, luxurious bathrooms and first-class service. 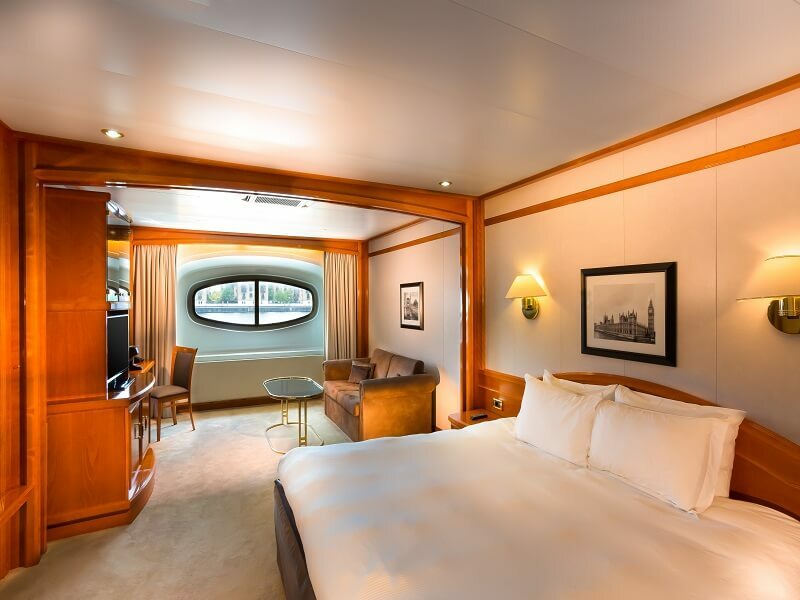 Sunborn London’s 132 guest rooms and 4 suites tell a story of timeless quality. Designed to provide light and spacious accommodation, each room has river or dock views, in most cases, framed by large french windows. 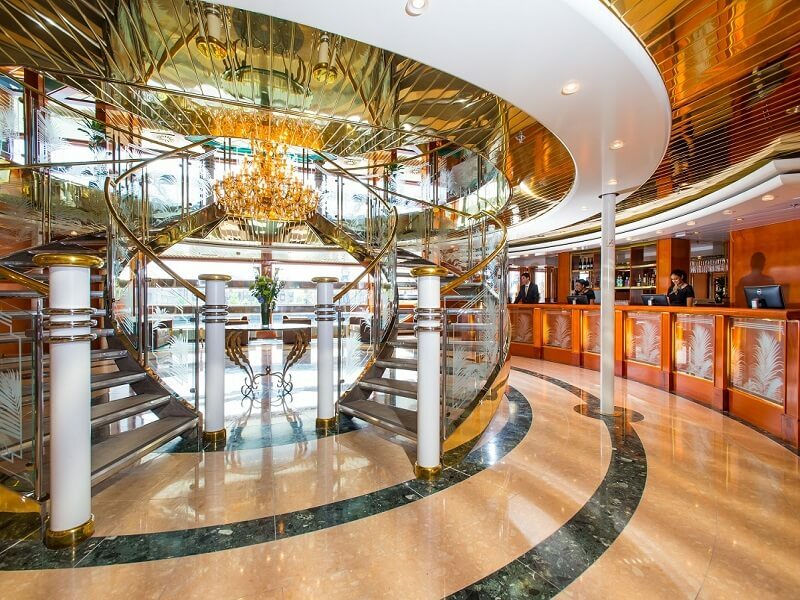 Yacht Executives lead on to a private terrace or balcony. Classic furnishings, pristine bathrooms and contemporary amenities combine to create an indulgent retreat. Named in celebration of Victoria Dock’s original identity, the Land’s End restaurant serves the finest food in surroundings to match your mood. Executive Head Chef, Pawel Motzek, makes creative use of the best ingredients to provide signature dishes that draw from the best of British with Asian and Mediterranean influences. Land’s End restaurant caters for every mood from casual buffet breakfast to quick-fire business lunch and after-dark fine dining. The intimate cedar and brass surroundings coupled with elegant lighting create a perfect backdrop for sampling the international gourmet menu, while the adjoining Sundown lounge bar is a smart choice for pre-dinner drinks. Why not give your private party the superyacht treatment, by booking exclusive use of the fabulous top-deck Sky Bar?